Set of two assorted baby owls designed by Genevieve Gail for her Gypsy Garden Collection. 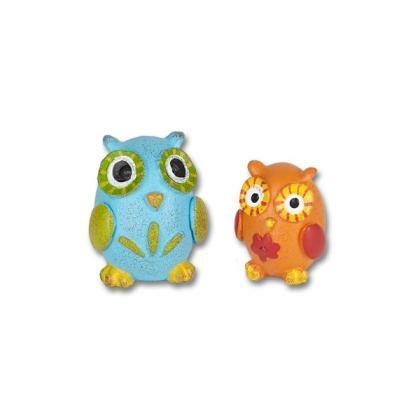 Set of two assorted baby owls�designed by Genevieve Gail for her Gypsy Garden Collection. Features a unique distressed finish. - Coat with polyurethane varnish to protect colour�from weathering, however can be repainted if fading or rust occurs.